This is an article published in our November 2016 Issue. In the Indonesian 2015 Defence White Paper outlining government strategic and spending priorities, which was approved by the country’s defence minister General (Ret.) Ryamizard Ryacudu on 20 November 2015, the country’s defence strategy was a, at first glance, a continuation of long term objectives. These long-term objectives pledged: “to maintain and protect the country’s sovereignty, territorial integrity and safety of the nation. The national defence is managed in a total defence system, which is nonaggressive and expansive to protect national interests.” The role of the Indonesian armed forces has always been to support and maintain internal security at home (which naturally includes a huge range of island territories) rather than to project power within southeast Asia or within the wider world. Over the last couple of years though, this stance has changed and the Indonesian government has signaled its intent to greatly improve its contribution to United Nations (UN) world peacekeeping operations to such an extent that it intends to be one of the Top Ten contributors. It has also, more subtly, not been oblivious to the People’s Republic of China’s controversial so-called Nine Dash Line denoting the country’s maritime and territorial claims in the South China Sea. According to Providing for Peacekeeping, an independent research project of the International Peace Institute, based in New York, the Elliott School at George Washington University, in Washington DC and the Asia-Pacific Centre for the Responsibility to Protect, at the University of Queensland, Australia, the Indonesian government has “pledged to deploy 4000 peacekeepers and to reach the UN’s top ten contributor list by 2019.” While Indonesia first contributed to UN peacekeeping activities during the 1950s, its support became sparse during the presidency of Suharto, who for 31 years from his assumption of office in March 1967, focused on his so-called New Order policies which were aimed at strengthening the military and controlling Indonesia’s vast 17000 island national territory. Two significant contributions marked Indonesia’s UN re-engagement; the first between 1992 and 1994 when Indonesia played a significant part in the Cambodian peace process, contributing 200 peacekeeping personnel to the United Nations Transitional Authority in Cambodia (UNTAC); then in 2006 when it committed 1000 troops to five UN missions. The Cambodian peace process commenced following the end of the Cambodian-Vietnamese War which raged between April 1977 and October 1991. 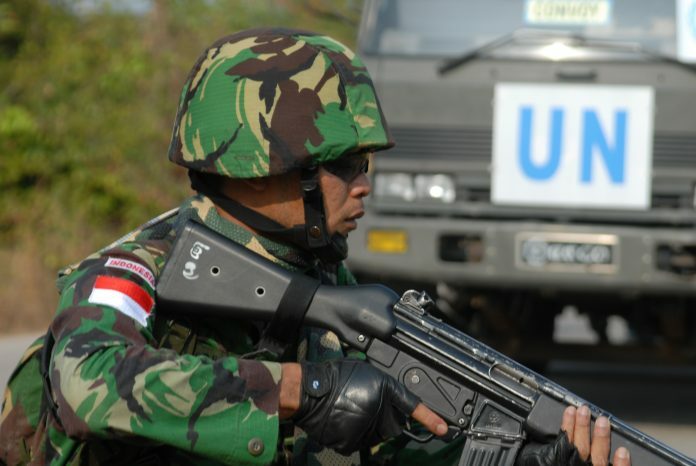 With the Indonesian police (POLRI/Kepolisian Republik Indonesia) also being added to its UN deployments from 2007, the country’s reengagement with UN peacekeeping has been confirmed. On 28 September 2015 at the UN Leader’s Peacekeeping Summit, the government made a further commitment that an infantry battalion, a helicopter unit and a police unit of 100 personnel (including 40 female officers) would be made available to support peacekeeping operations. This represents a firm step away from support roles (medical and engineering) towards a more kinetic force deployment. With the economic momentum increasing within the ten Association of Southeast Asian Nations (ASEAN), there has not been a similar increase in defence cooperation. As Providing for Peacekeeping points out: “the peacekeeping force initiative did not gain much support within ASEAN, in part because several countries still held dear the ‘non-interference’ (in a country’s internal affairs) principle.” The establishment of an ASEAN Peacekeeping Centres Network (APCN) has also largely failed to gain traction. This lack of common unity is one of the factors that has allowed the PRC to pursue its South China Sea strategy (see above), which has been largely based on facing down each of the countries that contest its island building programme, principally Brunei-Darussalam, Malaysia, the Philippines and Vietnam, in their claimed portion of the South China Sea. While Indonesia’s territory in the form of the Natuna Islands, located between Singapore and Borneo, lie on the periphery of the Nine Dash Line, a visit there by Indonesian President Joko Widodo (known informally as Jokowi) onboard the Indonesian Navy (TNI-AL/Tentara Nasional Indonesia-Angkatan Laut) ‘Kapitan Patumira’ class covette KRI Imam Bonjol in June was designed to reaffirm his government’s position. The PRC is following its tested policy of sending fishing boats into the vicinity of the Natuna Islands to contest Indonesia’s claim to a 200 nautical mile (370.4 kilometre) economic exclusion zone around the islands. The June the Indonesian government agreed a rise of 9.2 percent to the 2016 defence budget of an additional $607.5 million, bringing the total to $8.28 billion. It was indicated that the extra revenue would be used for procurement and upgrading military facilities, particularly maritime locations such as on the Natuna Islands (see above). However, by September this was virtually reversed as defence cuts became necessary reducing the budget back down to around $7.6 billion for the year. Aware of US concerns over PRC’s South China Sea land grab, open media sources recently reported that five TNI-AL officers travelled to Washington to discuss the availability of US Foreign Military Financing (FMF) to assist with the upgrade of its Natuna naval base, among others. Additional media reports stated that Indonesian defence minister Ryamizard Ryacudu had announced the intention to build and further upgrade several bases on the Natuna Islands. The White Paper illustrates some of the areas where investment will be made. For the TNI-AL it will ‘right size’ personnel focusing on zero growth in favour of quality personnel development. The publication also lists the procurement of “warships, aircraft, marine combat vehicles, sea special equipment and support materials” and the disposal of ineffective operational equipment. The requirement for the Indonesian Air Force (Tentara Nasional Indonesia-Angkatan Udara /TNI–AU) envisages the blanked improvement of all of its forces: “fighter, transport, (dignitary), reconnaissance, helicopters, training, and unmanned, and also radars, medium-range surface-to-air missile units and short range anti-aircraft batteries. In terms of personnel, the White Paper also focuses on quality over quantity for the TNI-AU. The army too has a wide-ranging requirement to replace older kinetic and non-kinetic systems and is also looking to further improve the capabilities and training of its soldiers. The Netherland’s Damen Schelde Naval Shipbuilding (DSNS) announced that the first of two ‘Martadinata’ class frigates, destined for the TNI-AL completed its sea trials on 7 September. Construction of the warship began in January 2014 with delivery of the first ship by January 2017. 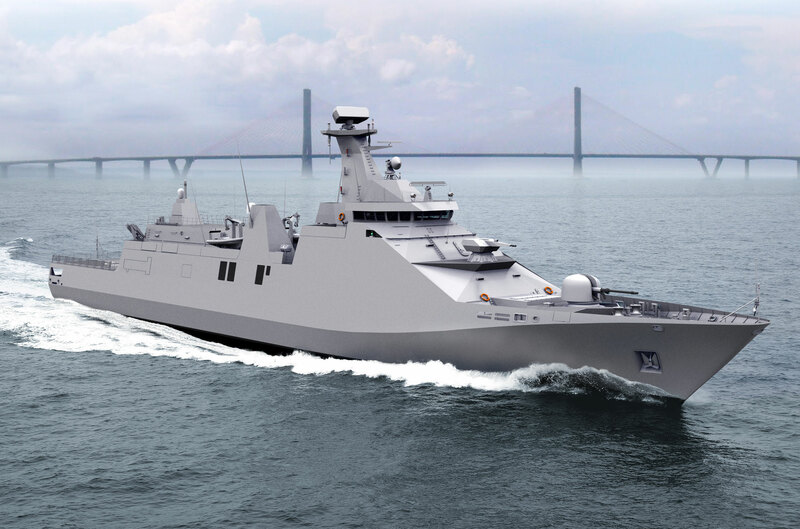 The 105 metre (344.4 feet), 2365 tonne frigates have been designed to be able to undertake several missions including air defence, anti-surface and anti-submarine warfare, in addition to general maritime security and humanitarian operations. The trials began at the PT PAL shipyard in Surabaya, northeast Java, then the ships sailed to the Java Sea for two weeks of trials. According to a Damen statement, that included the testing of “the weapons system (Leonardo/OTO Melara 76mm main gun, Rheinmetall Millenium close-in weapons system, MBDA Mica surface-to-air missile and MBDA MM40 Block-II Exocet anti-shipping missile), the vessel’s naval surveillance radar (Thales MW08) and the commissioning of the sonar (Thales UMS-4132). Noise measurements and cavitation observations were also carried out.” The ships are being constructed through a workshare agreement between DSNS in the Netherlands and PT PAL shipyard in Indonesia. The collaborative method comprises six modules, four of which are built at PT PAL. The remaining two are transported from the Netherlands for final assembly at Surabaya. Regarding the TNI-AU in September 2015, the force received an additional five Lockheed Martin F-16C/D fighters from the United States. This is part of an order signed between the United States and Indonesia in 2012 to refurbish and transfer 24 existing F-16C/Ds to the air force. 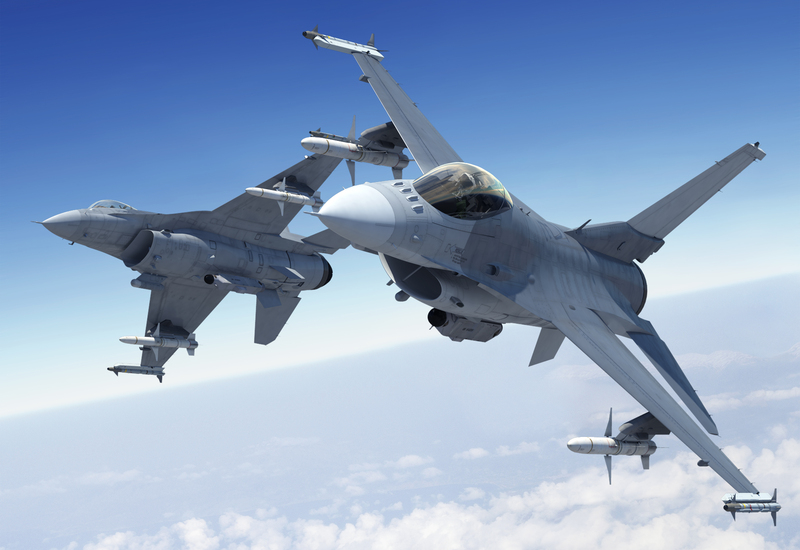 However, Lockheed Martin continues to press for the TNI-AU to upgrade to the F-16V, the latest member of the F-16 Fighting Falcon fighter family. During late summer, the army (Tentara Nasional Indonesia-Angkatan Darat/TNI–AD) took delivery of 24 Rheinmetall Leopard-2RI main battle tanks. 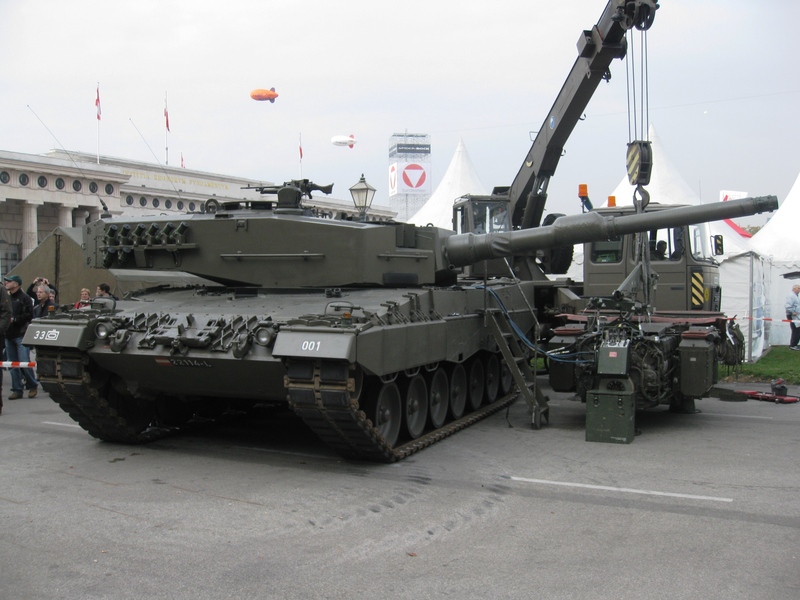 This was also the part completion of an order originally signed in December 2012 for modernised Leopard-2RI MBTs and 42 Marder-1A3 infantry fighting vehicles (from a total of 103 tracked vehicles) as well as a further eleven ex-German Army armoured recovery and engineering vehicles. The remaining 37 Leopard-2RI’s will be delivered by the end of March 2017. The decision to sell Indonesia eight of Boeing’s latest Apache attack helicopter, the AH-64E Guardian, in a contract awarded by the US government through the Foreign Military Sales (FMS) process, also ensures that the Indonesian forces receive a technology boost through the helicopter’s inherent capability requirements. The contract to Boeing was awarded on 26 January 2015 and was valued at $295 million. The completion date for the order is the end of February 2018. On 15 September Lockheed Martin was awarded a $375 million contract to supply AGM-114 Hellfire-II semi-active laser homing/millimetric wave radar-guided surface-to-air missiles to a number of countries including Indonesia. This was via a further contact modification on 7 December for AGM-114 Hellfire-II missile hardware/component production. On 12 February 2016, Elbit Systems of America in Fort Worth, Texas, was awarded a $13 million modification contract for 300 Apache Aviator Integrated Helmets, with Indonesia among the recipients. On 10 March, the State Department approved the FMS sale of AIM-120C-7 Advanced Medium-Range Air-to-Air Missiles (AMRAAMs) active radar homing-guided weapons, equipment, training and logistics support. This followed a request from the Indonesian government for 36 AIM-120C-7 AMRAAMs together with missile guidance equipment together with spares and logistical support. The total value of the contract would be around $95 million. However, Europe and the US are not the only sources of Indonesia’s search for military procurement. The TNI-AU has reportedly selected Russia’s Sukhoi Su-35 fighter as the replacement for its ageing North American/Northrop Grumman F-5E Tiger-II fighters although signing of such a deal is still awaited. The PRC too is in the export business to Indonesia. Somewhat ironically the Indonesian Marine Corps (Korps Marinir/KORMAR) staged test firing demonstrations of its new anti-aircraft artillery system during August; the China North Industries’ Type 90 twin-barrelled 35mm weapon. The guns, which were delivered during July, were tested against unmanned aerial vehicles targets according to the Korps Marinir. The guns are deployed in batteries of four controlled by a dedicated fire-control radar system. While there are many good government intentions to modernise the Indonesian armed forces, the path ahead is not an easy one. Coordinating procurement is a major challenge with both political and military leaderships often stove-piped into areas of self interest. The financial fluctuation of the economy continues to hinder a decisive commitment to an established procurement process over time on a wide and organised scale. Furthermore there is always the inherent concern among those who have ruled the country for the last 50 years that the most serious threat to the status quo is still most likely to come from within their own country.